The Belgian Promenade is so named because it was built by Belgian war refugees. More than sixty refugees, men, women and children, fleeing their German occupied home town of Mechelen arrived on Anglesey towards the end of 1914. They showed their appreciation for the help, accommodation and welcome provided by the local people by building the promenade, which was finished in 1916. 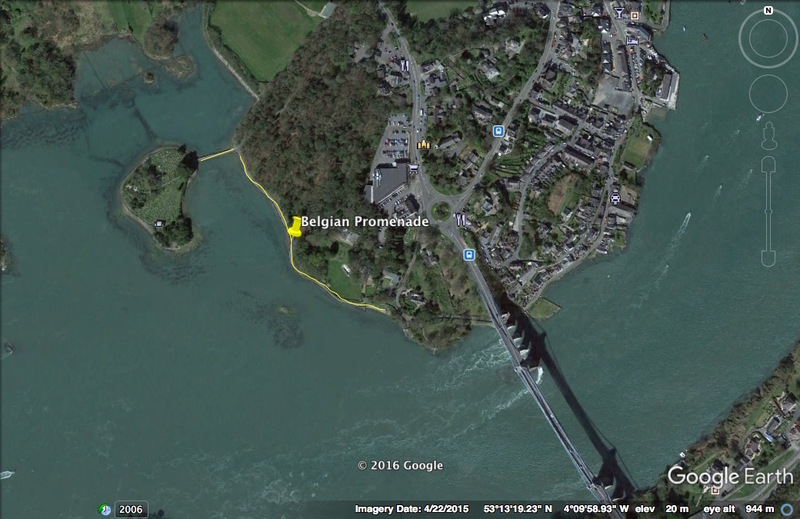 The pathway follows the Menai Strait from the town of Menai Bridge to Church Island, as shown on Google Earth.